If Lego® were a publicly traded company, I would invest without hesitation. It is, without a doubt in my mind, the best ‘toy’ on earth. Fostering creativity and dexterity skills. I’m in my mid-fifties, and I can still enjoy sitting down with the Legos that I grew up with or that my children or my nephews and nieces have grown up with. I’ve been aware of the various Lego® books, thumbed through a few, but have never really invested my time or money in them. But times have changed and Lego has started to uderstand the book market just a little bit better, I think. Lego Space reads like a history book (future history, of course), complete with a glossary of terms and diagrams of the ships. It’s quite cleverly put together, really, and I understand that the actual book will include directions on how to make each of the objects depicted in the book (my advanced reading copy contained no such directions). This is precisely the sort of book that I would have loved to have had as a child, and that my children would most likely have loved to have had when they were younger and playing with Legos. But to the story itself, Lego has dropped the ball a bit. It seems a little unclear as to whether it is a story (beginning, middle, and end), or, as I have described it above, a future history article. I think it might have fared better as a story, building action and suspense along the way. Authors Peter Reid and Tim Goddard are fine writers, I’m sure, but it’s no surprise that the book reads the way it does considering that Reid has written mostly history books and Goddard a memoir/biography/spiritual book. 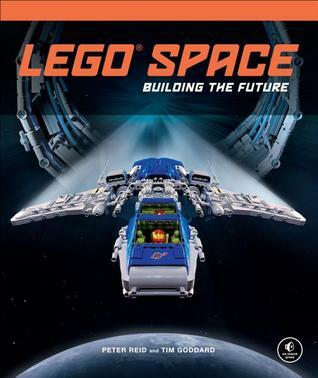 Lego® could have improved this book by paying a YA science fiction author to create an actual story around their Lego designs. I can think of a dozen names off the top of my head that would have been perfect for a venture like this. Still…I think this is the ideal venue for Lego® — science fiction themed books. Maybe it just combines two of my earliest loves; maybe it’s the blending of two creative ventures … but I like the combination. Looking for a good book? This is a wonderful way to keep a child creative and busy and renewing (or instilling) a love of reading.